We all know checking the internet on PC is like nothing just go to the ‘speedtest.net‘ and hit go, but in android smartphone or iphone it’s not that easy we have to download speedtest app, which is quite large in terms of size, So here is the method for testing internet speed on Smartphone without an any App. 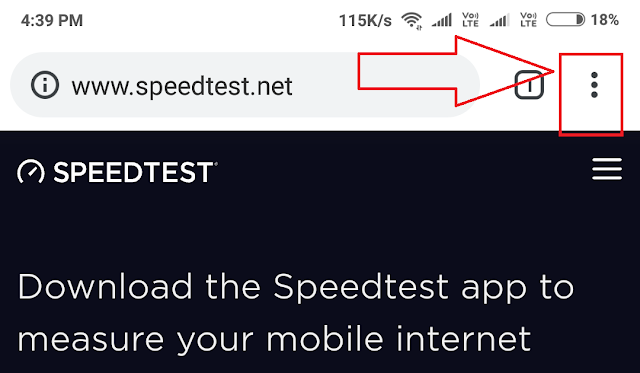 First of all connect your smartphone to the internet network which’s speed you wanna check. Now open any browser app in your smartphone, i will suggest you to use chrome browser. 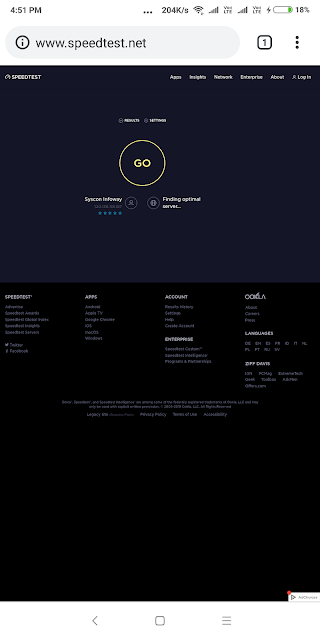 Now type the URL Speedtest.net, it will look like this. 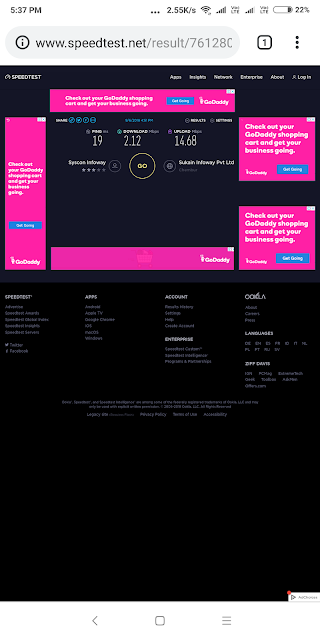 Now click on top three dots as sown in picture below. After that turn ON Desktop Site. After enabling Desktop site it will look like this. 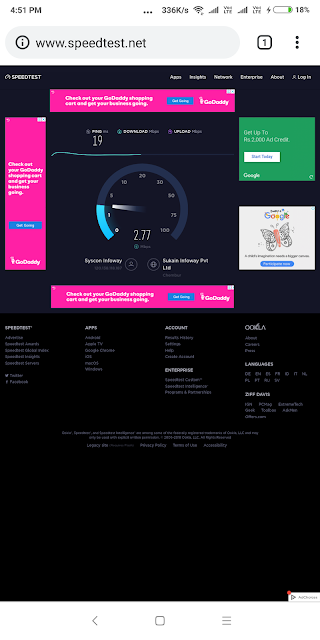 Now click on Go to check your internet speed. 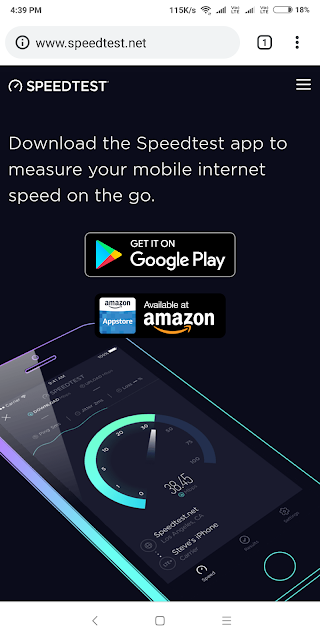 Once the test is completed you will be shown your internet Download and Upload speed. 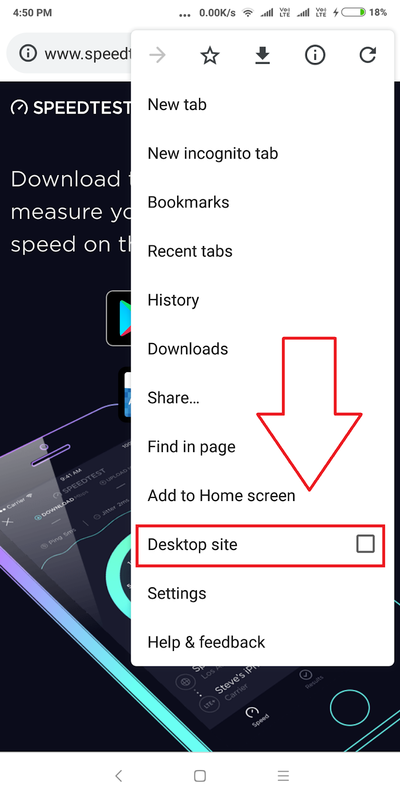 Thus we know How To Test Internet Speed On Android Without Any App, If you are using other browser than you have to enable Desktop site mode in your browser setting.